Among the displays are a Christmas Castle, two 10-foot toy soldiers and a 14-foot reindeer. Christmas Lane will return to the Florida Strawberry Festival grounds Friday, Nov. 25. Guests can enjoy a winter wonderland of lighted displays, nightly entertainment, food and more until Sunday, Dec. 25. When: 6 to 9 p.m. Monday through Thursday; 6 to 10 p.m. Friday through Sunday from Friday, Nov. 25, to Thursday, Dec. 15; 6 to 10 p.m. nightly from Friday, Dec. 16, through Sunday, Dec. 25. Where: Charlie Grimes Family Agriculture Center, 2508 W. Oak Ave. Cost: $5 for adults; $3 for children ages 4 to 12; free for children under 3. Parking is free and can be accessed from Lemon and Oak streets; free admission Mondays for current and former military; free admission Tuesdays for teachers and school staff members; free admission Wednesdays for law enforcement members. Santa and Mrs. Claus will greet guests each night and photos are available with them through a professional photographer or guests can take their own photos. Tuesday evenings will feature a living Nativity performed by various church groups. Rudolph, Frosty and elves Holly, Jolly and Dolly will make appearances. 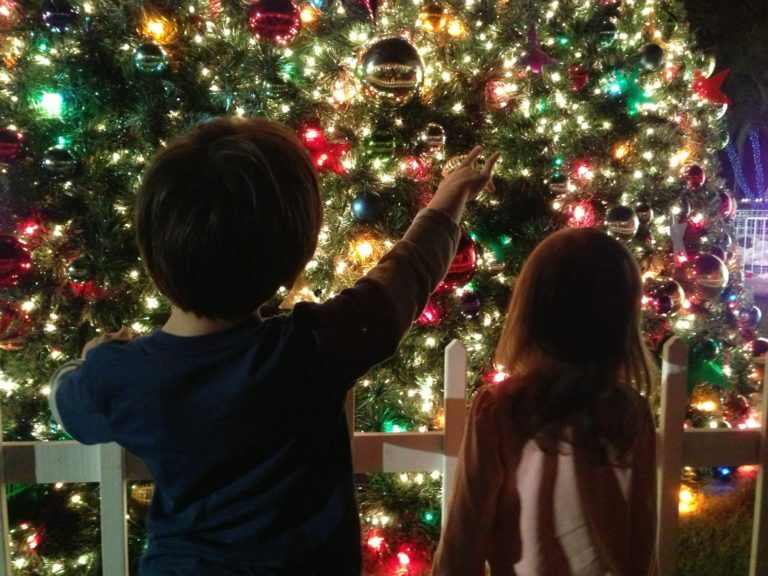 This year, Christmas Lane will introduce a kids' zone that will have face painting, balloon artists, children’s entertainers and an opportunity to color ornaments. Children and their families can spend time with Santa Claus during the Breakfast with Santa and Cookies with Santa events. Limited seating is available. More details can be found on the Christmas Lane website at ChristmasLane.com and on Facebook at facebook.com/visitchristmaslane.